The Body Reset Cleanse is a powerful 28-day detox and cleanse program with a REDUCE-RECHARGE-RESET approach for optimal results. Based on a 7 Day Menu this program is perfect for a quick one week jumpstart too! Need to shed some pounds quickly, reduce bloating and inflammation? Check out this natural health approach – all done with whole foods. Mother Nature knows best. Detox your body with natural whole foods and the efficiency of a plant-based diet. Promote the loss of excess weight and unwanted stagnation in the body. Cleanse the liver, improve blood quality. Decrease abdominal bloating and overall puffiness with cultured foods that fortify digestion. A diet structured to achieve sustained blood alkalinity which allows the body to naturally self heal. Naturally boosting the immune system through fermented foods rich in probiotics. Real nourishment that helps to free you from daily nagging cravings. Recipes promoting the increase of energy levels during the day. A program that enhances a more restful sleep through the night. A cleanse is a great way to jump-start your body for a more active, healthier life. A natural diet and lifestyle helps promote wellness, longevity and ongoing happiness. 7 days of fresh soups, congees, smoothies, macrobiotic remedies and vegetable juices. All in glass jars, convenient for on-the-go days. Organic, plant-based, vegan, gluten-free dishes, all made from scratch. A simple plan with an eBook to guide you offering extra health tips for optimal results. Includes delivery 3 times a week for a full seven days of freshly made foods. Delivered to your doorstep in a cooler pack on Tuesday, Thursday and Saturday. The Body Reset Cleanse DIY Pack consists of a starter kit, recipes, shopping list and eBooklet. Please note - time in your kitchen is required to prepare dishes for the cleanse process. See below for more details. Simple recipes, balanced for cleansing and nourishing. Body Reset Cleanse Starter Kit - see below for more information. Weekly grocery shopping list for fresh produce. A simple kitchen plan for busy schedules. Bonus gift – a subscription to our Recipe Library which now includes online cooking classes! This is a program created for RAPID RESULTS. Your modern-day stress-filled life needs a health reset to let go of the baggage that is slowing you down. Our plan of action is designed to naturally detoxify and cleanse your system with energizing nourishment from a plant-based diet to give your body a reset for a better tomorrow. Please note to successfully participate in this cleanse you will need access to a kitchen to do basic food preparation. This cleanse includes juices as well as both raw and cooked dishes. If your digestion does not respond well to raw dishes, just ask, we will supply cooked options to aide you in the process. This program is gluten free. Once you purchase this program your starter kit and recipe cards will be on their way. Within a week your packages should arrive to get you started and set you on the path to feeling great again. Featuring top of the line ingredients from Gold Mine Natural Foods. Nurturing, cleansing and strengthening foods from the powerful practice of Macrobiotics. Natural nourishment used to cleanse and detox, while creating an alkaline balance to help you rejuvenate and self heal. The Body Reset Cleanse starter kit includes these organic ingredients: adzuki beans, kukicha tea, kombu, kuzu, miso, umeboshi paste and wakame. These foods come from the powerful practice of Macrobiotics and are used for creating an alkaline blood quality within the body to promote self healing and to boost the cleansing process. Small red beans especially beneficial for the kidneys and urinary functions. A thirst-quenching beverage made from the select twigs and stems of the green tea bush. A natural diuretic and astringent. A thick, dark green sea vegetable (seaweed) that is cooked with whole grains, beans, veggies and soup stocks. An excellent source of bioavailable vitamins and minerals. 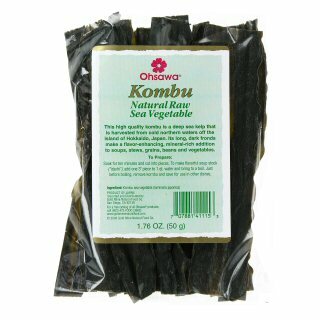 A long, thin sea vegetable (seaweed) that is high in vitamins and minerals. A salty, pickled plum that aides in digestion and strengthens the blood. The king of alkalizing foods. In just one teaspoon of miso there are millions of active probiotic microorganisms and enzymes that aide in digestion, strengthen the blood and boost the immune system. A fine white starch made from the root of the kuzu or kudzu plant. Highly alkalizing and beneficial for digestive health. Shop NOW for the Body Reset Cleanse!